Notes: This is an exceptionally easy knit. It's just a rectangle of reverse stockinette that's stitched up the back. 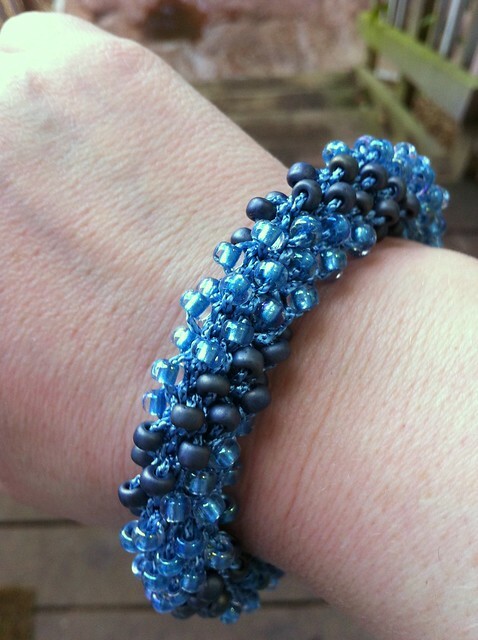 The beads are pre-strung in pattern. That is the tricky part. If you place the beads in the wrong order your pattern is toast. I love this bracelet. Thanks for sharing this info, I'm making this.